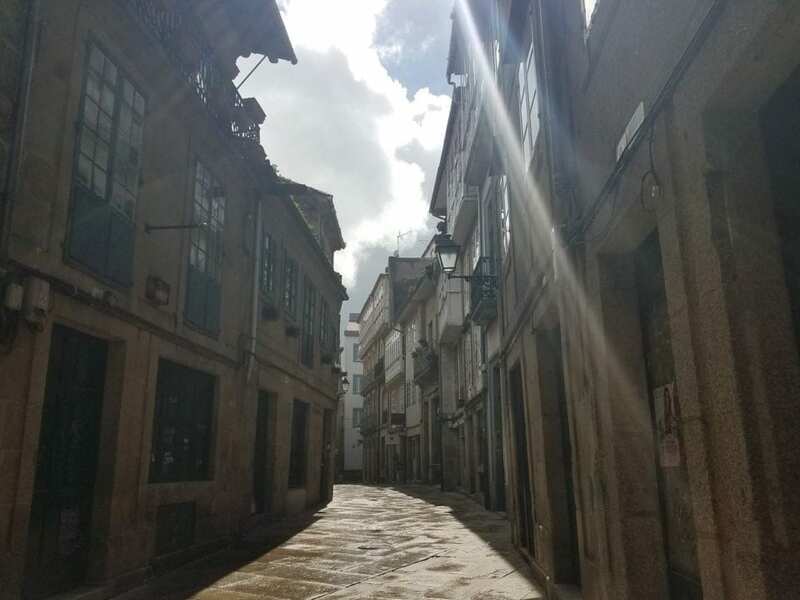 After traveling and walking the Camino de Santiago, my final destination became Fisterra, Spain. Why did I change my last goal? 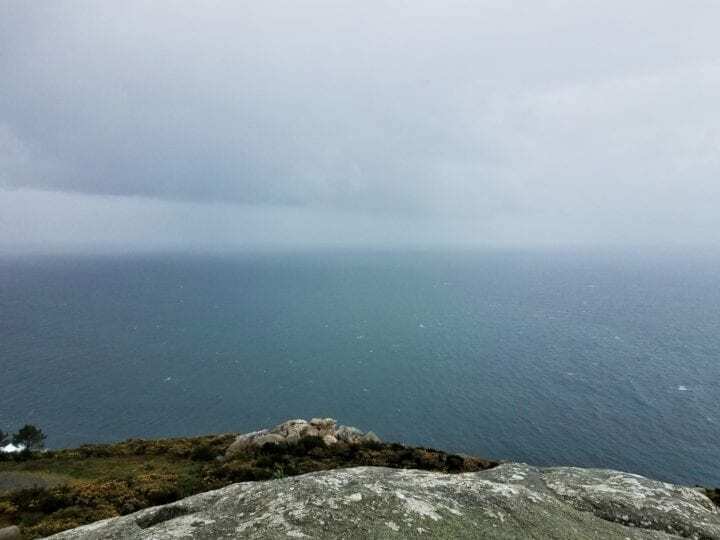 I added this amazing location because I had to see and travel to the end of the Earth – Fisterra, Spain. It’s a short trip by car from Santiago, Spain, only about 57 km. 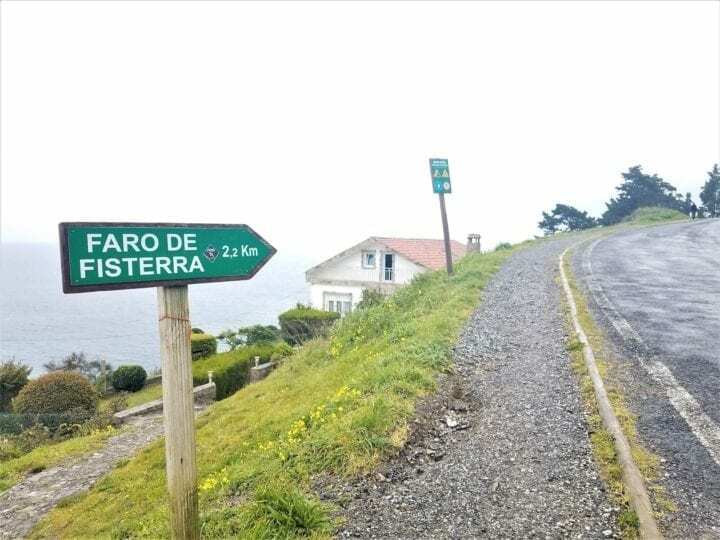 Yes, it’s walkable, and many do walk to Fisterra from Santiago after the Camino. However, you don’t have to walk there. You don’t need to rent a car. If you don’t want to walk, take a day tour, there are good ones that can get you to Fisterra. But, the best way to get there is to take the local bus from Santiago to the end of the earth. I saw loads of folks taking the bus each day. 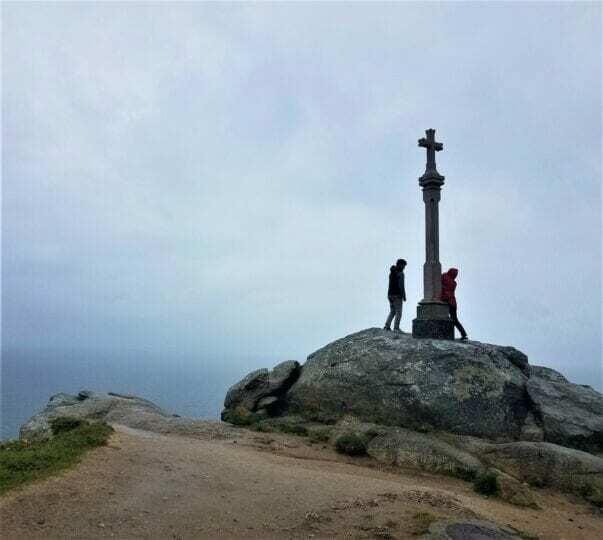 Even in spring, when it’s raining a lot, people still trek to Fisterra after completing Camino Way. 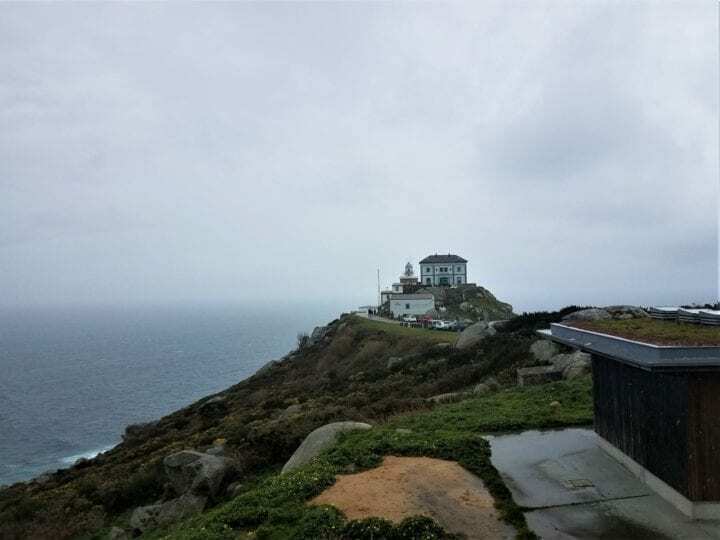 Here is a little video that shows the walk from Muxia to Fisterra. 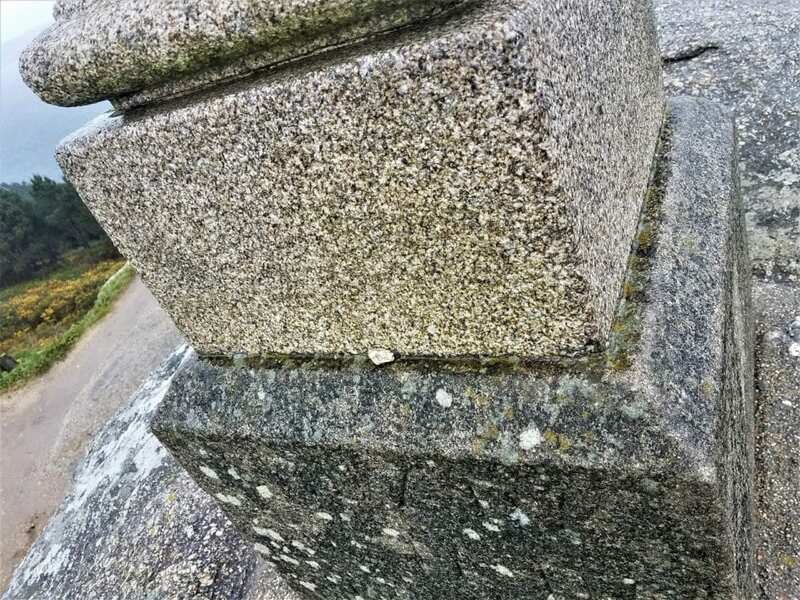 I went to Fisterra to leave my last pebble at the foot of the cross located on the high banks in Fisterra, Spain. The cross overlooks the Atlantic ocean. My short and sweet video shows the Muxia view on the day we were there. Expect rainy, overcast weather in March, April and early May. Along the walk, the views are awesome, breathtaking ocean views line the walk. If you don’t have time to travel here, I hope, a quick look at my video will give you the feeling I got while I was there. 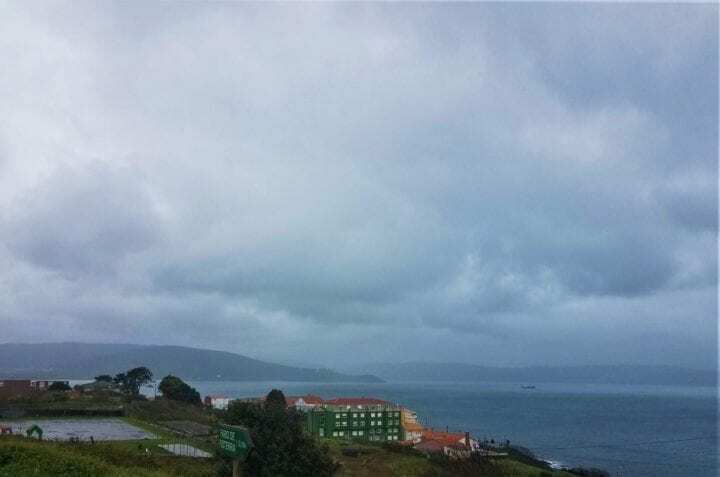 The video shows the view on the road to Fisterra. Along the road to Fisterra, you will see quaint villages. The view is gorgeous no matter when you go. I went when in the pouring rain and howling wind. Rain doesn’t scare me away. I love rain, so a rainy day is a perfect day for me. 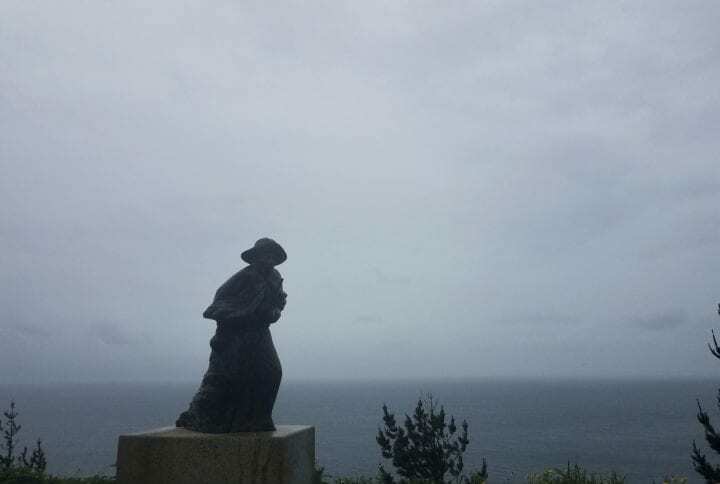 If rainy weather makes you melt, here is a weather forecaster to check the weather for the best time for you to travel to Fisterra. The Atlantic Ocean view from Fisterra. At the end of the Earth, there is a lighthouse, the Atlantic ocean, and rocky cliffs. Little stone homes and brightly colored buildings dot the coastline. I saw people from all over the world here. 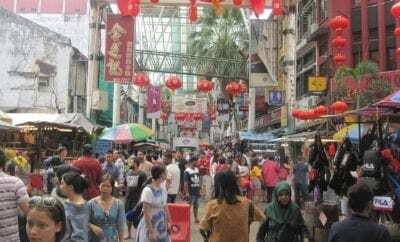 It’s sparsely inhabited with a few small hotels, and ferries to other places. Remember, if walking isn’t your thing, go by bus. The views are worth the cost of a bus ticket! People ask, how long should I plan to stay? I think you should stay as long as you need to stay. The location has a meditative and healing quality. The location is known for feeding the soul. Fisterra is a great place to consider life. There are restaurants and the beaches and on a sunny day, this beautiful place is meant for relaxing and soaking in the views of the Atlantic Ocean. Spain is a complicated place, a mixture of old and new. Fisterra, the end of the Earth is very simple and a relaxing place to visit. It’ is a place that feeds the soul, come rain or shine. In my opinion, there is no bad time to visit Fisterra, Spain. Taking my last pebble, I threw my worries away. I tossed my pebble into the sea. My friends place their pebbles at the foot of the cross. In the photo, their pebble, a desert rose brought from Saudi Arabia can be seen in the photo, and waits for the sea to wash it away. The Fistrra lighthouse at the end of the Earth.